When your business considers starting up or relocating to Maryland, you need to know some important facts about the state. Whether you’re a Fortune 500 company looking to expand back-office operations, a national or international manufacturer looking to build an East Coast distribution center, or a tech or bioscience entrepreneur looking for investors, your next question is probably: How can Maryland support my business? The answer to that question is resources. Maryland ensures your access to the resources you need - people, facilities, infrastructure, and technology. 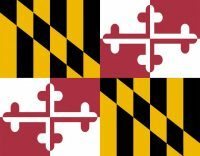 People: Maryland ranks second among the states in professional and technical workers (25.4 percent). Facilities: More than 50 federal agencies and research facilities are based in Maryland. These include the National Institutes of Health (NIH), the Food and Drug Administration (FDA), the National Security Agency (NSA), and the National Institute for Standards and Technology (NIST). Infrastructure: The Port of Baltimore processes over 40 million tons of cargo annually, and facilitates overnight highway and rail access to one third of the nation. Technology: Maryland ranks well for entrepreneurship. Washington-Baltimore ranked first in the North East, in 2006 "Hot Cities for Entrepreneurship," for business growth and job growth.